The government has for the last time assured teachers that a salary deal struck last year would be implemented from July. At the launch of the Association of Alumni Communities of Kenya at the Kenya Institute of Curriculum Development, the Education Cabinet Secretary Dr. Fred Matiang’i said that the Teachers Service Commission would honor the agreement. “There is no issue, responsible discussions are going on,” Dr. Matiang’i said, adding that the talks were aimed at ensuring order in education. 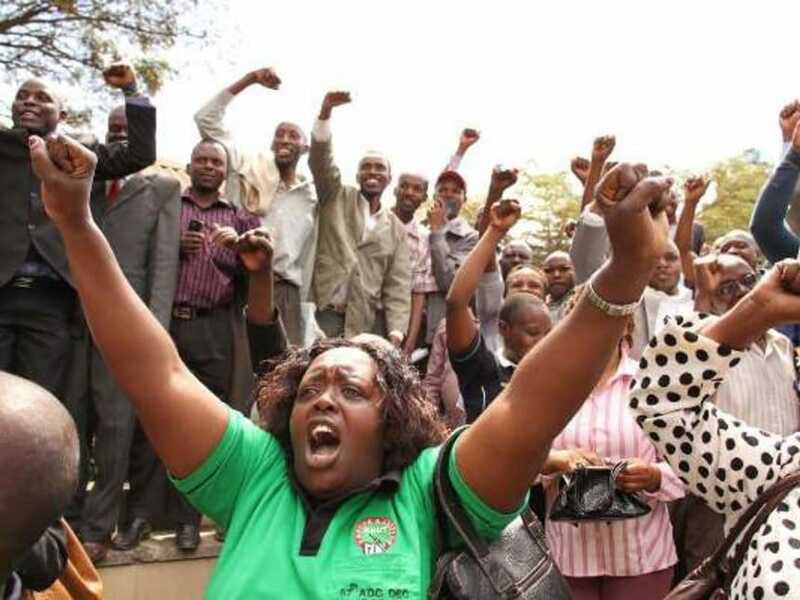 The Teachers Service Commission, the Kenya National Union of Teachers and Kenya Union of Post Primary Education Teachers have been in talks earlier this month on the implementation schedule of the collective bargaining agreement(CBA) which is expected to run from July to June 30, 2021. Knut softened its stance last Wednesday and had asked that the CBA be adopted in two phases after the TSC indicated that it has other obligations to meet for teachers. However, TSC last week sought more time to engage other State agencies on implementing the deal that will cost taxpayers Ksh13.7 billion every year. The commission said the 305,000 teachers in public schools and colleges were covered in the agreement. Dr. Matiang’i has also challenged the unions to engage the government on improving education, “given that the welfare of your members is being addressed”, he said. He also said that the government wants to have a responsible engagement with unions and other stakeholders to avoid a situation where everyone believes he/she is right and other opinions are irrelevant. The education minister asked Knut and Kuppet to support the government in addressing the problem of poor learning outcomes together with teacher-pupil absenteeism. Dr. Matiang’i also expressed concerns over those charged with management of schools urging them to put into proper use the available resources. The CS added that he did not understand why a school facing a water crisis would purchase a bus valued at tens of millions of shillings “when students are walking for kilometers in search of water”.